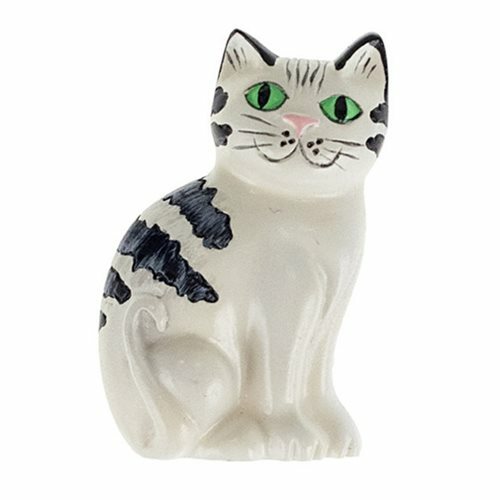 Complete your Doctor Who look with this Cat Pin! Perfect for your Sixth Doctor cosplay or addition to your everyday outfit, this pin is inspired by the one worn by Colin Baker. Next time you face Cybermen or cross paths with a Dalek, make sure you tap this Cat Pin for luck! Complete with a themed gift box, this pin features a locking pin clasp for security and is made from polyresin. Measures about 1 1/2-inches high. Ages 13 and up.